* Holding the carrier name. 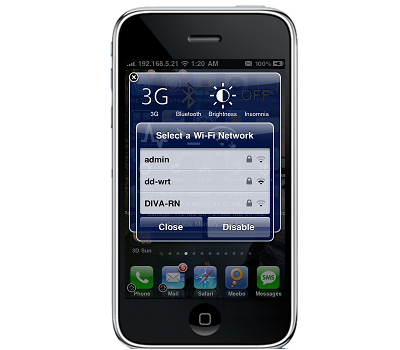 * Hold down SBSettings' WiFi icon. As if the iPhone 4/HD hadn't been looked at enough, today some nice Czech folks did some microscope work on what appears to be a the 640x960 screen and found it to be...denser.. than current iPhone models. 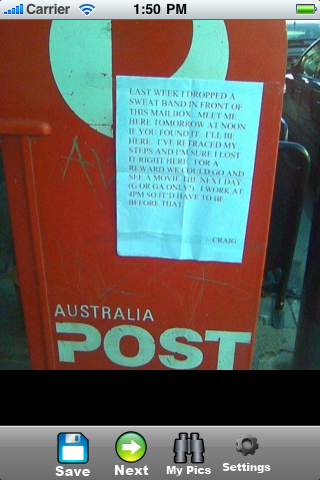 Surprise. Update : Version 1.5-1 released ! 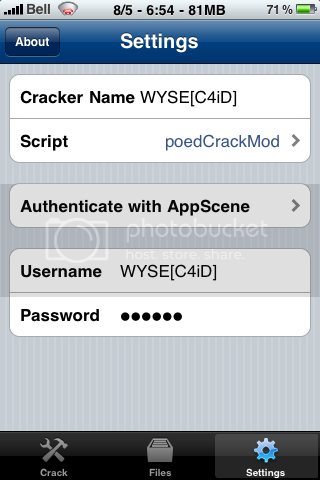 AppCrackr is an iPhone application that allows you to remove the DRM from Apple's iTunes AppStore. It allows you to remove the DRM with ease, and with any cracking script of your choice. 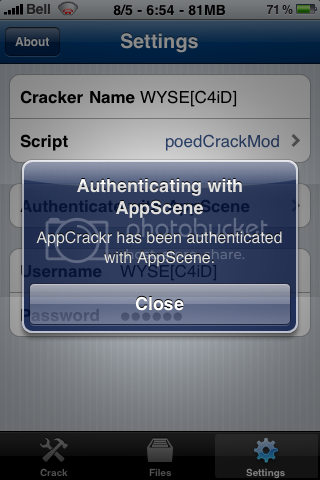 When you see this screen you've cracked, uploaded, and submitted an app through appcrack! Update : Version 1.0.2 released ! This application randomly shows photos from over the world uploaded by people. You can save photos to your iPhone if you like them. 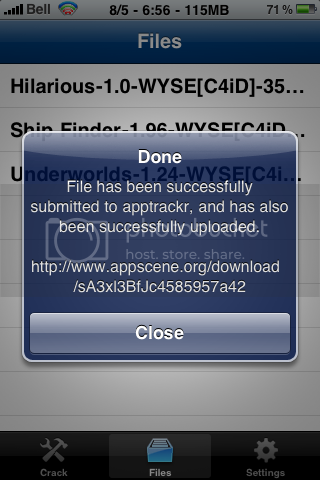 You can now wirelessly sync your iPhone with iTunes using Wi-Fi Sync, a new app for your jailbroken iPhone. Run the app on your phone, and it'll appear in iTunes' list of connected devices. 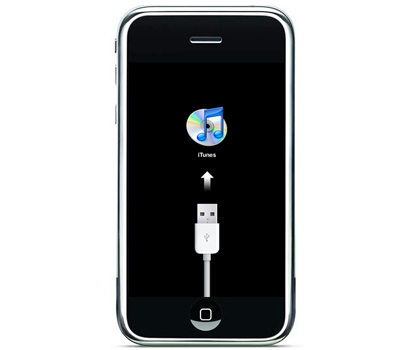 From there you can sync music, apps, photos, contacts and everything else just as if it were plugged in via USB. 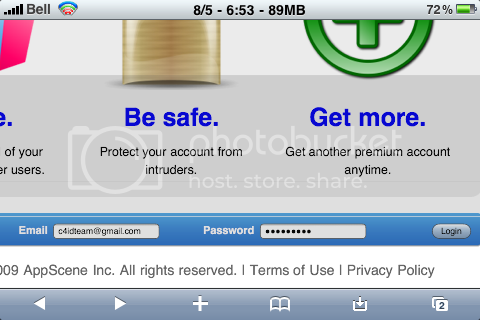 The app is currently compatible with Mac OS X 10.5 and 10.6, and a Windows version will be available shortly.
. This app is not supported on the iPad. Update : Version 1.1.5 released ! 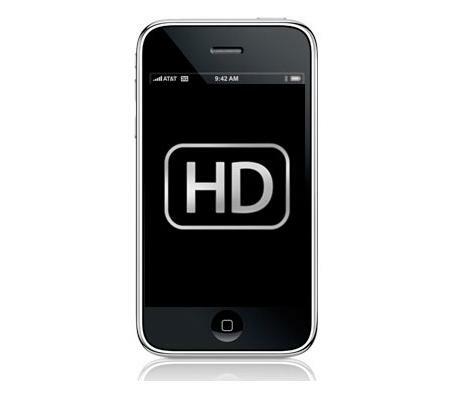 Portrait and Landscape with Springboard in "mirror" mode on your TV and iPhone, iPod or iPad. 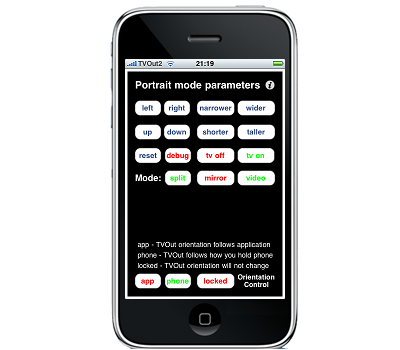 Use the TVOutTuner application to position the view on the screen and enable/disable TV output. 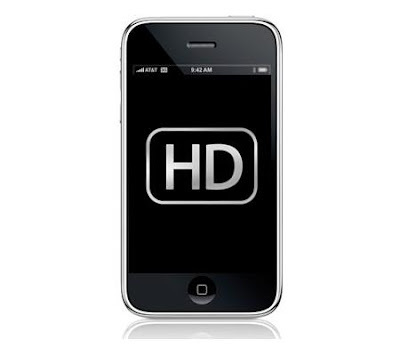 Use the default "video" mode for full framerate in-app videos and games that use OpenGL. 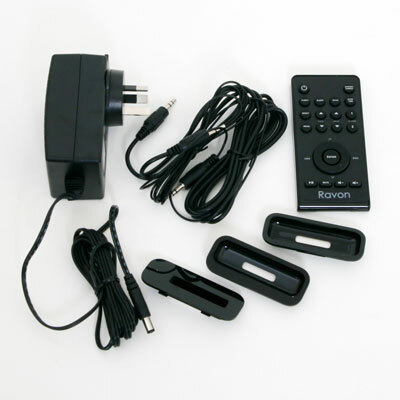 You'll need to remove the original TVOut package if you encounter problems. The large majority of applications work though you may have to experiment with the "Orientation Control" options to lock the orientation of some landscape games if they persist in displaying portrait on the screen. With the new accelerated "video" mode fo games if you encounter one that doesn't work try "mirror" mode. 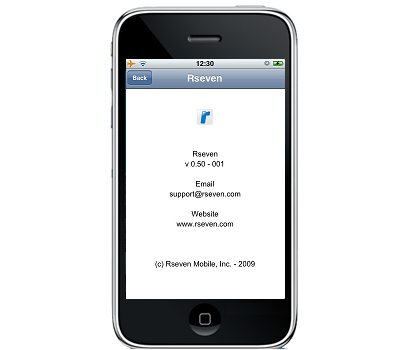 Rseven is a life-caching tool. 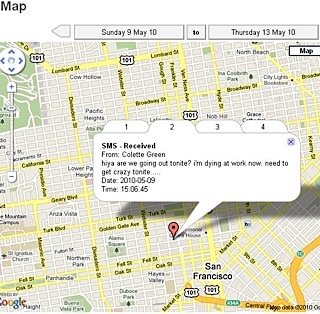 Rseven archives all the data recorded by your phone into a website. 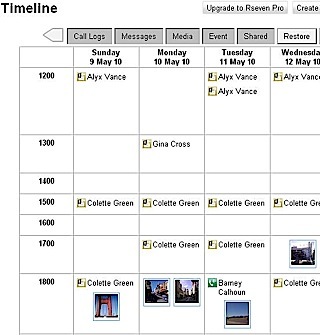 As your phone documents your daily activites, Rseven website shows your life journey in a Timeline and displays the strngth of your relationships with the people you communicate with. Visit rseven.com for a demonstration. 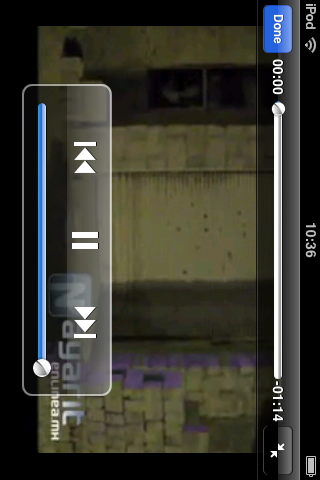 Force select applications to show in fullscreen iPad mode, even if the developer hasn't certified them as compatible. 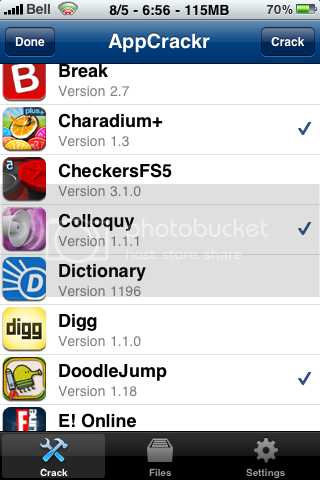 Update : Version 2.6.4-1 released ! 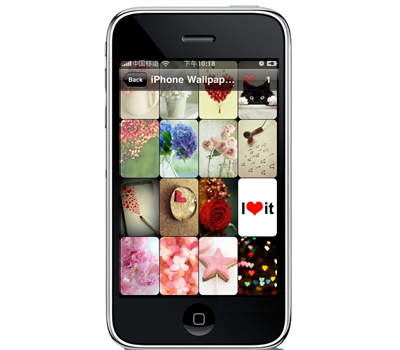 PhotoBuzz Free is an application to display all web albums from Picasa and Flickr. 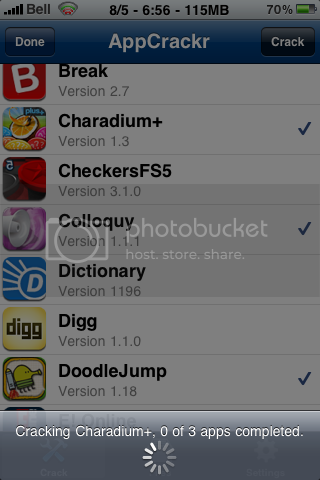 A pro version (paying) is also available, no limit for album users. add "fashiongirls" channel, you can view a lot of HOT girls! All albums can be displayed offline. Update 2 : And the Winner is................................. CARLOS (carlito007@gmail.it) !! Update : To win this contest and then win this Ravon Audio Clock, just let a comment with your name and email. A drawing lot will be carried out in 1 week. 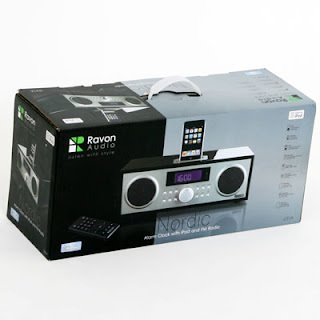 The Ravon Audio Nordic Alarm Clock with built iPod dock immediately got my attention when it arrived as it had what appeared to be an iPhone friendly unit (according to the pictures of the packaging) which got my juices flowing. 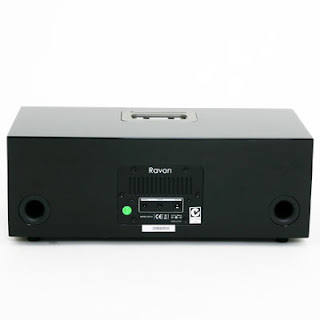 Loudspeakers with broad spectrum of 3"
The unit is a great bedroom clock radio with a piano black finish which is nice and is quite solid and weighty. This was further reinforced when I put the iPhone through it and as expected the bass was warm with lots of punch. 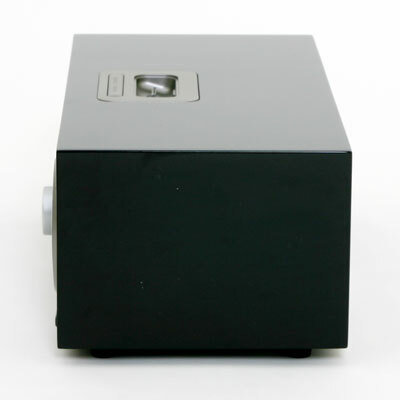 It certainly produces sufficient volume and do not be fooled by the specifications as its only rated at 14W per channel. For those that aren\'t aware and I apologise for launching into a mathematics lesson here, the relationship between volume and power is logarithmic so to double the volume of this unit you would need 10 times the power or 100W of amplification. The rule is x2 volume = x10 of power! So when this unit is at half of its rated maximum volume (which is more than ample) it is only using 1W of amplification so do not get sucked into the power debate. Enough of the audio theory lessons. 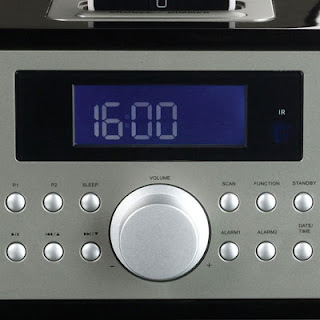 One of my pet peeves with clock radios is if they are disconnected from mains power or suffer a power failure, they lose all their settings. Not the case with this unit as it appears to have a built in rechargeable battery that saves all the settings so once power is restored, so are all the original settings. Big tick! 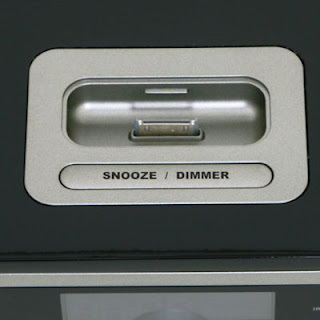 The clock also has two alarm settings i.e. his and hers or weekdays weekends. Again the unit scores a big tick! 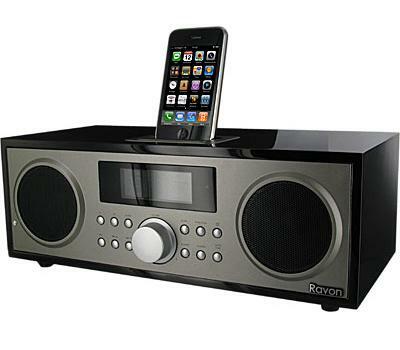 The ability to wake to the music from your iPod rather than the radio is another big tick! The radio functionality is as you would expect having analog AM/FM with 10 memory presets. 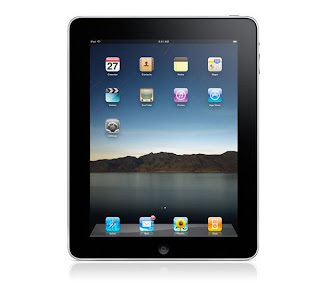 The display is a large LCD type that is clear and crisp. The Ipod dock is universal so you can use one of the provided plates to adjust the opening to accommodate your iPod variety from nano through to touch. The unit comes with a remote that allows you to adjust all the usual suspects as well as bass and treble which earns it another big tick. At this point I would summarise the unit as a winner as it has all the things you would want from a clock radio with built in iPod dock and recommend it and before I say but, I still think its a winner. Now for the but. Although the unit has a host of great features and looks good it has as an Achilles heel which you may have picked up in my subtle transition from initially being excited about the unit catering for an iPhone to talking about it used with iPods. 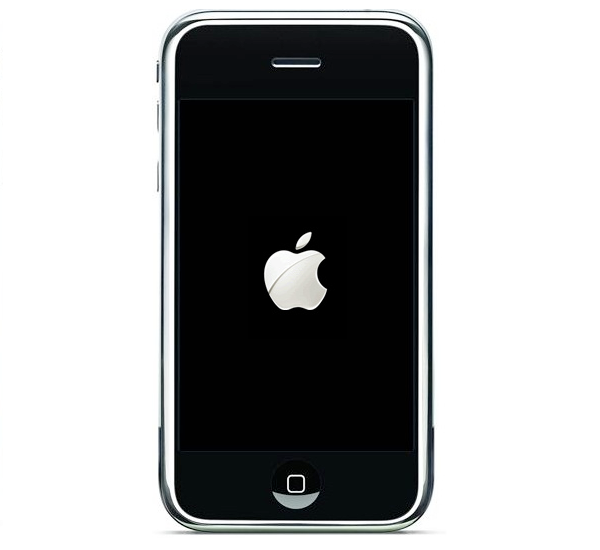 The iPhone is different from iPods because as it is a phone it has a built in radio and built radios are constantly transmitting a heart beat every so often to let the nearby mobile tower know its on air. This causes electrical interference when placed near a radio. Leave you phone next to a radio and see for yourself. The workaround is to put the iPhone in airplane mode when docked but that takes you off air which for many people wouldn\'t be an issue but for those who need to take calls when they are in bed, well you need to look at some other solution. Now we need to be very clear here, the issue with interference from iPhones and AM/FM clock radios appears to be universal so it's not a failing of the Ravon Audio Clock Radio but rather the industry not being able to find a solution or maybe an affordable solution. Personally I would have thought some shielding in the unit could/would negate the problem but I am not an expert. Maybe there is a rocket scientist out there that can come up with a solution. Of course this issue is why this unit and all its competitors clearly state iPod and if you see what looks like an iPhone on the box, take a second look and you will realise its an iPod Touch. Again in summary, I give this unit the thumbs up and would recommend it and I would recommend it even more if were iPhone friendly. Change your Voice and Caller ID. 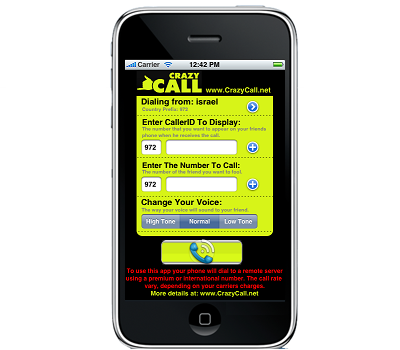 CrazyCall is the ultimate tool for making prank calls and fooling your friends. You can change your CallerID (SPOOF), so when you call someone he sees on his Caller ID display the number you selected. You can also change the pitch of your voice (Voice Changer) for deep and creepy or high and funny. No need to buy a PIN code or to register just make a call. 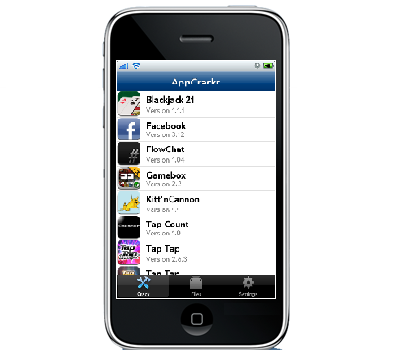 To use the app, your phone will dial to an International or premium rate number. The call rate vary depending on your carriers charges. The app is not working in the USA because of the Truth in Caller ID Act. 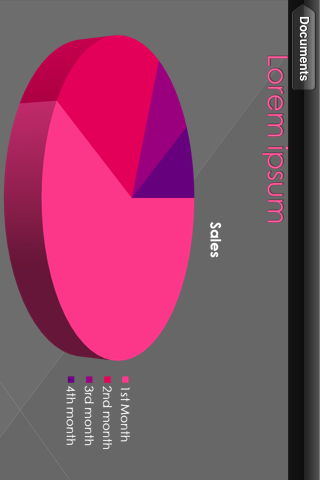 The first Download Manager App, FULLY compatible with iPhone/iPod touch and iPad, with the advantages of the fullscreen work area. Download all your files over any available network, from any site, including hosting sites such as rapidshare and megaupload. Over 40 supported file types, including: PDF, Word(doc and docx), Excel(xls, xlsx), Power Point(ppt, pptx), Audio files (mp3, m4a, wav), video(mpeg, 3gp, mov, youtube), Image files (jpg, png, gif, bmp), text files (txt, html, xml), RAR and Zip archives (including multipart, password protected). You are able to create folders, cut, copy, delete, and move around files. 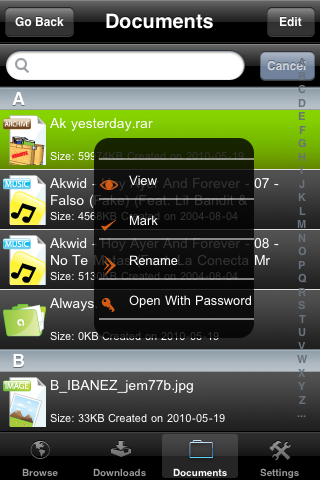 Multiple simultaneous downloads, no file limit, file sharing. 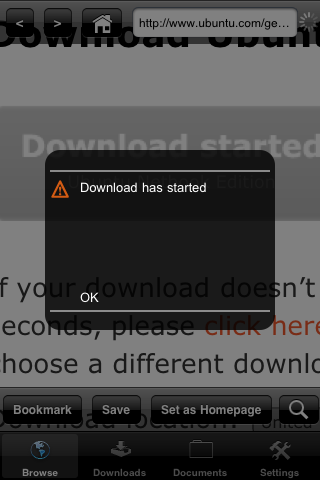 If connection fails, you can resume your download later. Use as a Pen drive. Download your files to your desktop computer, Use your favorite browser(Explorer, firefox, safari, etc...) to download and upload files from and up to your device. 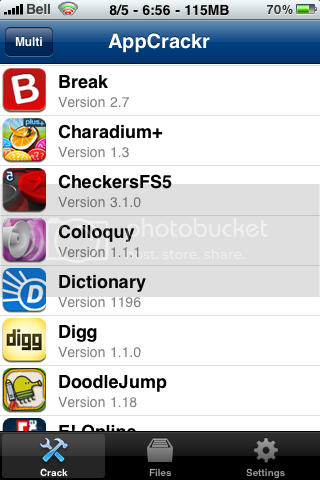 Update : Version 4.0~b4~2 released ! iPhone 3G, you have recently upgrade to Firmware 3.1.3 then your baseband has changed. 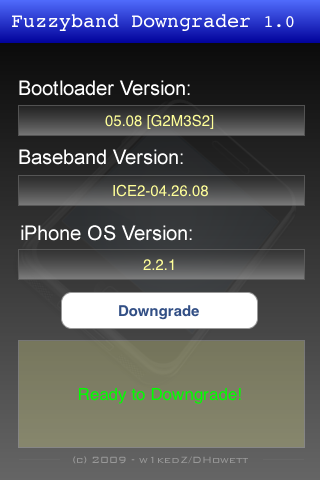 This utility will permit you to downgrade your baseband 05.12.01 to baseband 05.08 to be able to use Ultrasn0w).